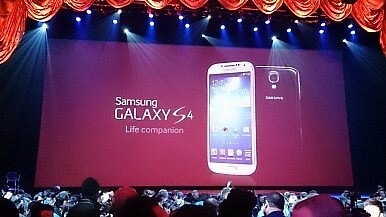 Samsung Galaxy S4 news for AT&T and T-Mobile Subscribers! What about Verizon and Sprint? Two major mobile service provides have announced at least part of their U.S. roll out plans for this season’s most anticipated phone, the Samsung Galaxy S4. Yesterday AT&T announced that its customers will have to wait less than a month to place their pre-orders for the Samsung Galaxy S4, with the company beginning to take pre-orders for the phone on April 16. The company did not say when they’d actually begin selling the device or when pre-ordered phones would be delivered, but a one to two week period after the initial offering is typical. There is good reason to believe this timeframe will be adhered for AT&T’s release of the Galaxy S4, as newly pre-paid only provider, T-Mobile, also announced this week that they will begin selling the phone around May 1, roughly two weeks after AT&T begins taking pre-orders. Furthermore, all the major mobile providers in the UK have begun taking pre-orders for the phone, which will be released on April 26 in that country. UK retailers have already reportedly been beefing up the size of their staffs in order to handle the rush of orders for the new phone. Verizon and Sprint are yet to announce when their American customers can purchase the Galaxy but Samsung says both carriers will be offering the phone. One of the biggest surprises from AT&T’s announcement was that the phone will be initially sold at $250 for those signing onto a two-year contract. This is $50 more than the $200 price tag that most high-end phones like the iPhone5 have been sold at in recent years. Interestingly, an in-depth Bloomsberg Businessweek report on Samsung this week said the company will release an S4 mini version of the phone soon after the regular one hits stores. This would be consistent with Samsung’s flagship phone, the Galaxy III which included a mini version. The website Know Your Mobile later reported on a number of rumored features of the mini S4. This week The Diplomat published a two-part series of reports comparing the Galaxy S4 to the iPhone5. The first and second installments of this series can be accessed here and here. How does Google’s newest handset compare with the top Korean flagships?